Product information "Business bag MAGELLAN of brown leather"
15. 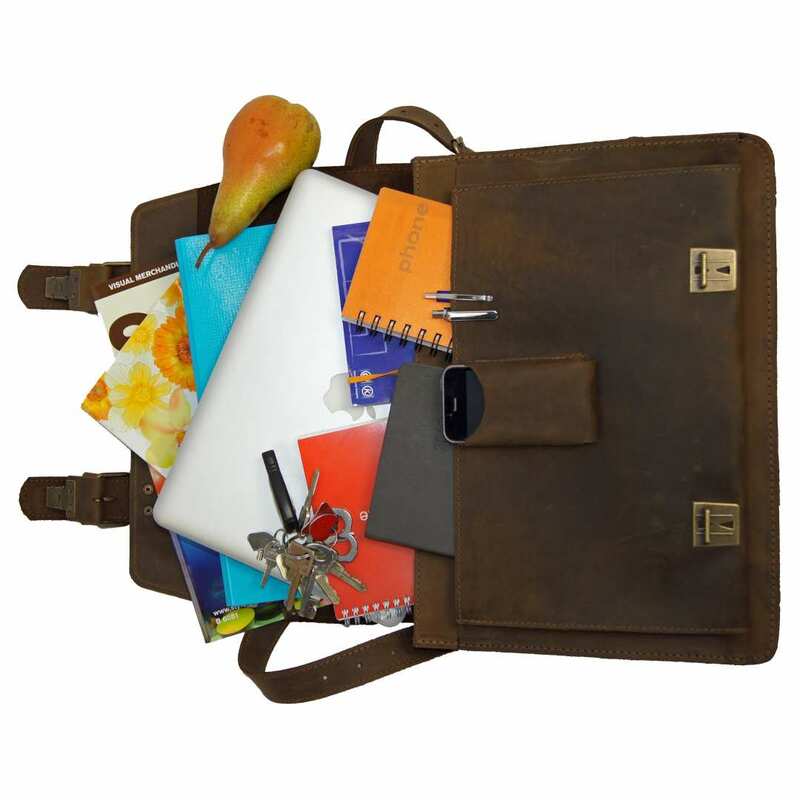 7 in (40 cm) business bag MAGELLAN made of old-antique brown organic leather with cell phone pocket - the small office on the go! 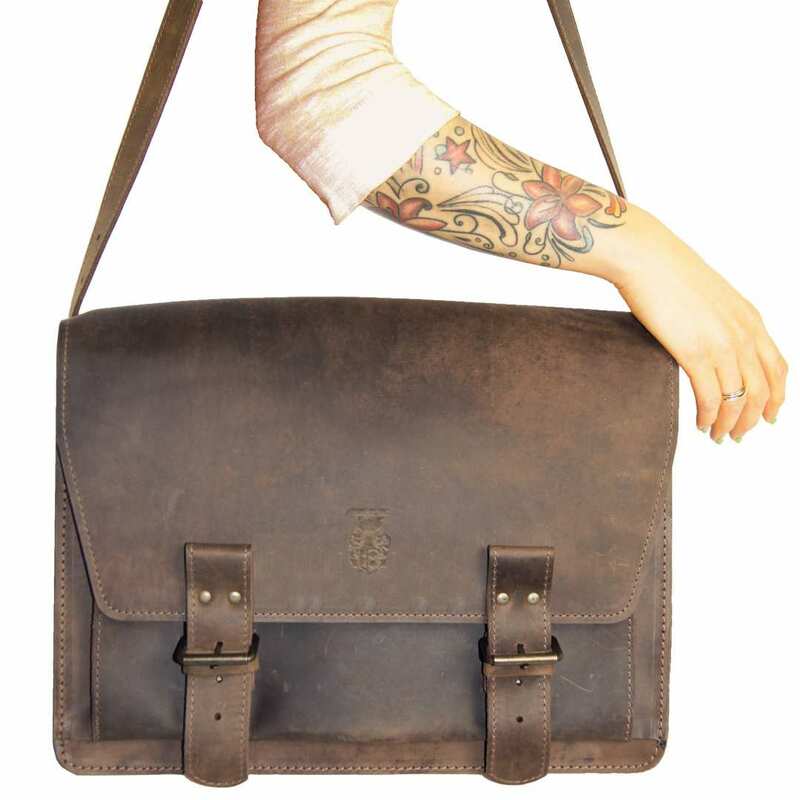 Beautiful, modern and very sturdy shoulder bag made of the finest organic leather in old-antique brown. 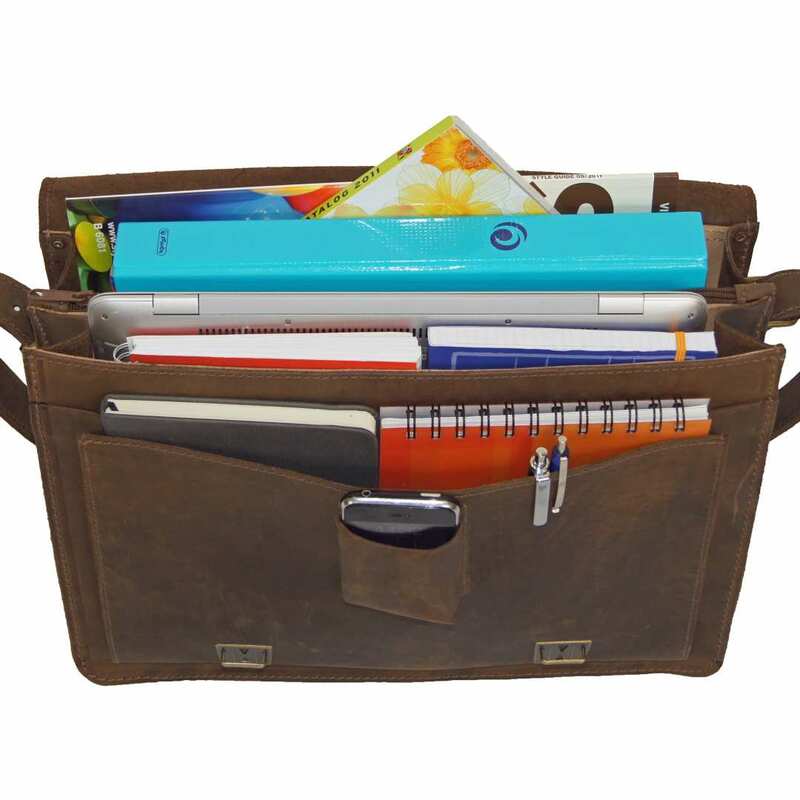 It offers you enough room for a laptop, a large binder, catalogues and more. The sewn-in cell phone pocket ensures the quick access to your telephone. Important documents fit into the middle zippered compartment. 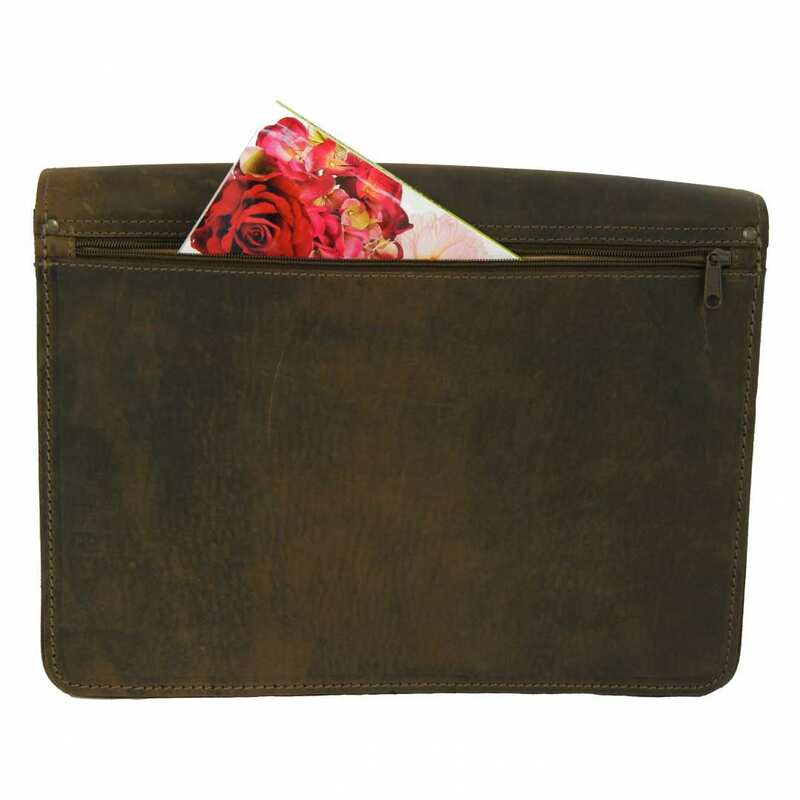 An additional zippered compartment on the back side of the business bag MAGELLAN made of old-antique brown organic leather allows quick access to your important documents without opening the covering flap. 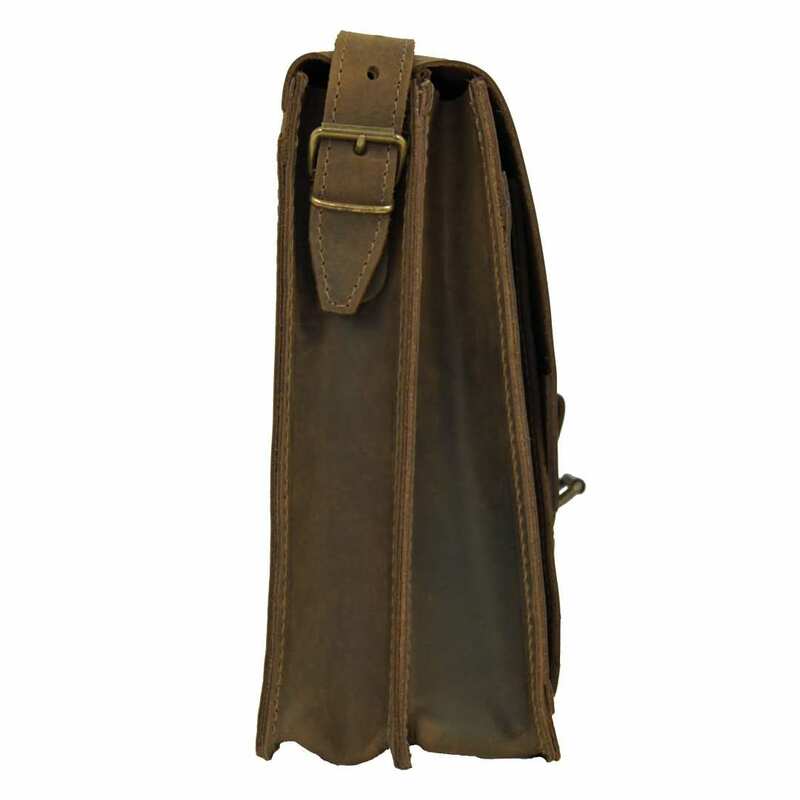 The appropriate shoulder strap lightens carrying and with a total length of 51.2 in (130 cm) it is individually adjustable according to your preferred size. With the delivery of the shoulder bag MAGELLAN you will also receive a large, soft shoulder pad for free: scuffed clothes belong to the past. 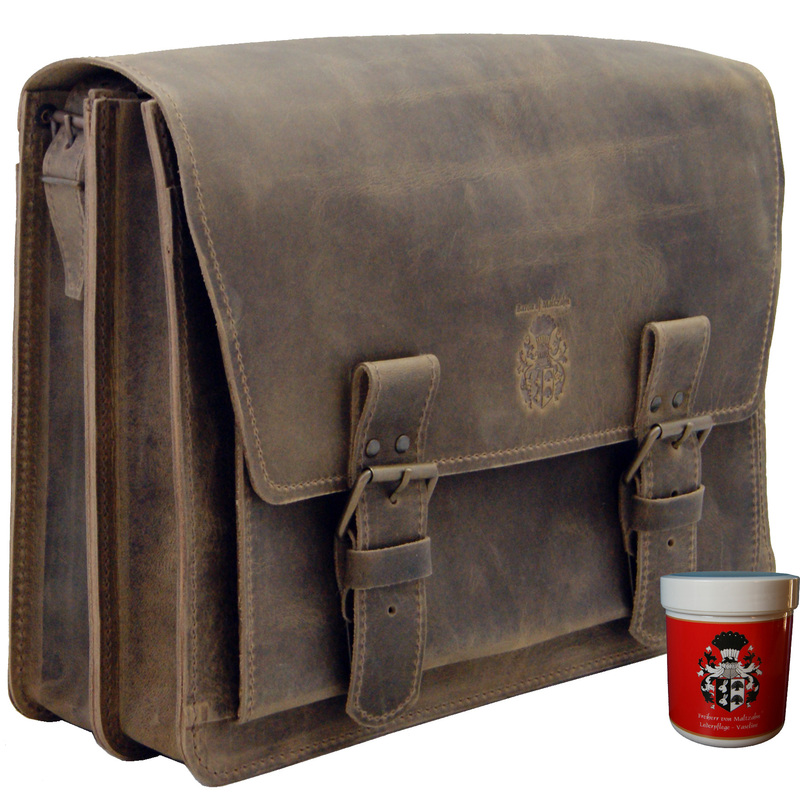 The high grade vegetable tanned organic bovine leather of this shoulder bag is dyed and greased by hand in Germany. It has a thickness of about 2.7 mm, is unique and not to copy - no piece of the fantastic Collection BARON of MALTZAHN is alike! The colour abrasions which will appear over time create an intended effect which only occurs when using. This states the individuality of your bag and makes it absolutely personal. 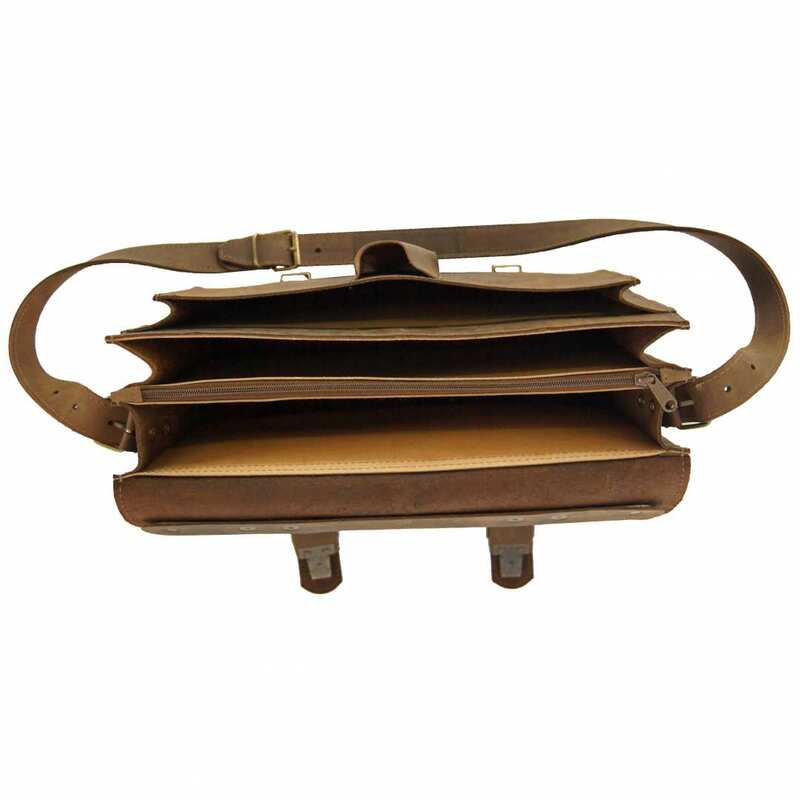 The total size of the business bag MAGELLAN made of old-antique brown organic leather is 15.7 x 11.4 x 4.7 in (40x29x12 cm). Order now and allow yourself this elegant and practical companion for your daily life! Reviews for "Business bag MAGELLAN of brown leather"